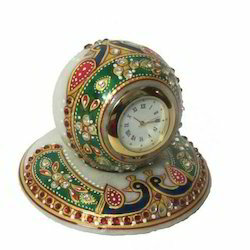 Our esteemed clients can avail from us a remarkable quality of Handicraft Wall Clock at very reasonable rate. 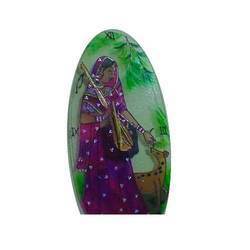 We deliver these products in recommended time frame. Material : MDF wood used as base. W-1003 - An elegant square shaped wooden clock is of the Contemporary Clocks collection. White dial punctuated by bold, Arabic numerals which is easy to read. This timepiece is based on the principle of simplistic elegance.